Severing cords with your twin flame? When a person comes face to face with their twin flame, and enters a new world of spiritual awareness & unconditional love, it very quickly becomes clear that what we until then perceived as “love” is in fact only a very small fraction of the earth shattering, big bang type heart explosion LOVE with a Capital L that our twin flame ignites in us. We become entranced with each other from the start and the shared vulnerability of our soulful nakedness allows us to merge all our bodies together at a very deep level. We are able to catch glimpses of the infinite beauty and love that surrounds us at all times and we feel vibrant, loved, accepted and nourished to the deepest part of our being; our soul. 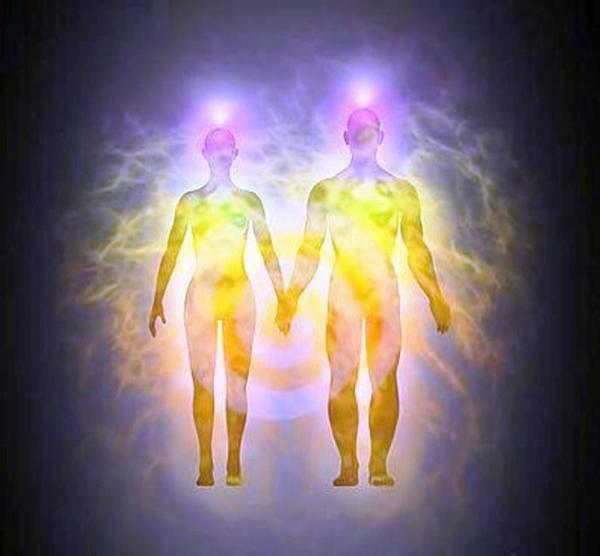 When this soul level merge with our twin takes place, it opens up multiple channels of energy that run through both twins. These gold and silvery energy cords that run from soul to soul and heart to heart are the lifeline of the twin flames and can NEVER be severed. Through these cords, we feel each other, we sense each other and we are drawn together, regardless of time and space. In fact, our twin flame is so much engrained into the energetic makeup of who we are; that as we go through our experiences, emotions and growth, these vibrations are constantly being sent back and forth between us and our twin. Furthermore, the psychic and spiritual connection between twins always includes a sort of a spiritual “love-nest”; like an ecstatic place of love and bliss where the twins come for comfort and reassurance – my twin called this “our inner space filled with unconditional love, passion and friendship”. The twins are also connected to their higher selves by a similar silver cord which is attached to the crown chakra. Why would we want to sever the connection? Unfortunately the twin flame path is such that very often each soul must have time apart in order to grow, learn and fully become who they are meant to become. God wants us to be conscious and actively take part in our own journey; and therefore, to remain in permanent physical union with our twin, we must become fully conscious of our own Self. The actual physical separation forces each of the twins to FEEL and FACE their individual selves. A person cannot know WHO he is at the very center of his soul unless he has felt a part of himself missing. The journey is very complex in this sense, because in order to unite with our twin soul, we must realize that separation took place so that we could KNOW the self and the soul. Despite being physically separated, the twins must achieve inner wholeness: both within themselves, as well as a spiritual unit together. As the eternal dance between the two souls seeking balance and wholeness gets into full swing, it results in a push-pull or runner-chaser dynamic, which causes many to question their sanity and to feel that we should not allow this “insanity” to control us. The two twins are kept locked in this situation until both learn to complete and balance their energies – together & apart. Even if the twins are apart and not in contact, they both have to carry their share of the work. As the twins share the same soul, they often feel not only their own but also the other’s pain – and so feelings and reactions to these are often magnified. Often our intentions are good when we seek to release ourselves from our twin: we want to stop hurting them, our partners/spouses – and most of all we want to stop hurting ourselves. The pain we feel makes us want to run away from them and from ourselves. After a while we realise we no longer recognise ourselves. We can occupy our mind and heart with work, things, other relationships – even good, loving ones, but within the deepest part of our soul we know that which is missing. We may not perceive this as running until years later when we suddenly realise that they never pushed us away; it was our own feelings of rejection and feeling unloved that caused this. It dawns on us that perhaps our twin simply wasn’t ready for the deep-dive into himself either and was just trying to figure it out, just like we were. More importantly, we realise that the person we are running away from is ourselves; we did not abandon them but rather our Self; and that no matter what we do, we can never stop feeling their acute absence because that void is felt within the deepest part of our Self. Often the pain of the separation and the many obstacles to the union are so unbearable that we want a way out of this new “reality”. Initially we pray that it will just go away in time and we can get back to “normal”. We numb our feelings in self-preservation. Then, as our frustration grows, we start wanting to sever the energetic cords connecting us to our twin flame. However while we may know all sorts of methods for cord cutting and have successfully used them in the past; the connection between the twins follows no conventional rules or reasoning. No matter what anyone tells you, NO ONE, not even the Twins themselves can break the special eternal cords between them. This is what is meant by the often quoted biblical verse “What God has joined together, let not man put asunder” (Mark 10:9). The Force that created them is all-powerful and indestructible. The bond may be weakened, and their final union delayed, but they cannot be separated permanently. Furthermore, severing cords with your twin flame would be like amputating a part of YOU. Since twin flames are part of each other as the same soul, trying to cut the cord would be cutting your own soul. The highest good of the twins or humanity would not allow this. However, if you do need a break from the twin connection, there are ways to take a bit of time out – whether this is what you choose to do is of course entirely up to you, however you must remember that all that it will do is to delay the internal work which must be done. This time-out could even come in the form of another relationship, building a family with someone else, however be under no illusion; you WILL BE pulled back to your twin flame. Like an elastic band, the cord connection the Twin Flames is flexible, allowing each twin to do their share of pulling – however no matter how far the band stretches, it always pulls you back to the connection – and I’ve had personal experience of this! So what is supposed to happen during the separation? If you are facing a separation from your twin then it is for a reason. Not only this, but it is unavoidable & absolutely necessary. This means that there is work to do: for both you and your twin. During the separation the twin souls must feel and reconnect with their own inner selves to be able to feel the bond with their twin souls. This is hard to start with, especially when the twins have been involved in the runner – chaser dynamic. The outer search for the twin is very painful and sooner or later one will feel that there is no other way to connect with the twin than to reach for the deepest place in one’s own inner Self. Being separated from our twin soul often feels like a deep loss of our self: so excruciatingly painful that we can find it hard to know what to do with these feelings. Sooner or later we begin to feel like we must ”surrender” ourselves to the profound spiritual and emotional process that starts to take place inside. We realize that this is a process that we have no control over. During the process, we learn to love and accept ourselves, as well as our reflection in the mirror: all of it, the good, the bad and the ugly. And sure enough; with time and spiritual growth & maturity, the connection simply becomes something you accept. Rest assured that even if you make all the mistakes in the book and it seems that the connection is unrecoverable, all will be revealed, rewarded and forgiven – in time. Even if for a long time it seems like we are not making any progress with our twin and our spiritual path, the love between true twins comes with a guarantee: it WILL transform you. This means that even without realising it, both twins are now on a spiritual path and the day will come when both will want to be fully themselves, and this includes having your twin in your life again. For no matter what you or anyone else says or does, there are unbreakable spiritual bonds and cords under divine protection that cannot and will not be severed. In the meantime, while you are being kept apart, you are always free to express how you feel and what you are choosing in this moment. No matter what your reasons, the soul of your twin loves you so much that whatever you choose, the soul knows that it is out of love. We all have our own process of spiritual & emotional growth and no choice is ever right or wrong, but rather just another tick on the list of necessary lessons to be learnt; all leading towards our ultimate union with our one true love.